Today I had a chance to go fish again with my friend Lyle Tate and he was today for the first time fishing tenkara only. We headed up to the South Platte below Deckers looking for some promising pocket water. While it was fairly cold at the beginning of the day (37F at around 8am), it warmed up to the low 70ies by noon when we left the river. The first stretch of water was beautiful but not very kind to you, both of us started with Killer Kebaris but neither got any action. We moved further upstream to directly downstream of Deckers and things started to look better. In the meanwhile, I decided to add a dropper, my trusty RS2, knowing that this fly should produce if anything would. I cast to a tiny little pocket tucked against the canyon wall on the other side of the river and let the flies drift behind a rock. I couldn't see where the line entered the water but it "just didn't look right"and I lifted the rod to find a nice brown of about 14" on the other end. I was able to get it across the faster water over to my side and was able to hand-line it in the shallows (of course I again forgot my net at home!). I landed another nice brown of equal length in the same stretch and lost three more, one of them looked like a 16" rainbow - its acrobatics where pretty impressive. At least two of the three lost ones would have likely been landed had I had a net with me. Lesson learned: don't forget to pack a net or have a spare in your car! 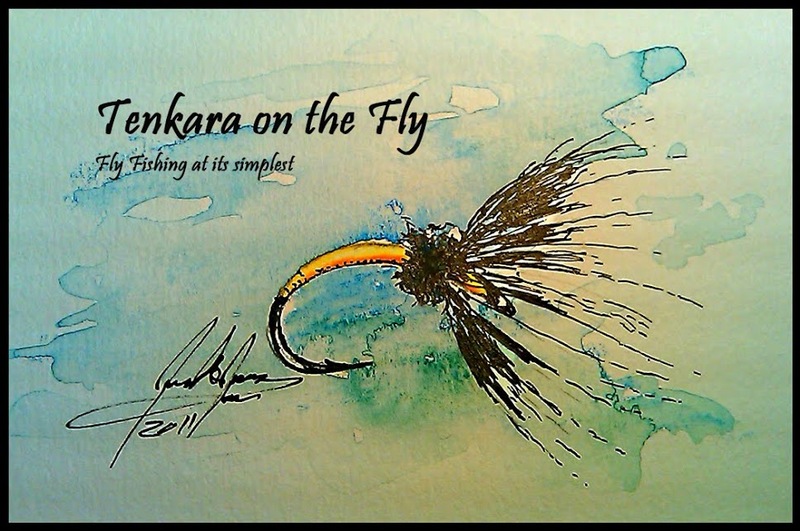 It was great to get out, fish, catch some and spend time with my buddy Lyle who is now a tenkara convert! Nice browns Karel! Well done. Great post Karel. That's a good day for the S. Platte! BTW, did you like the line with the Amnesia tip? Thanks Kiwi and Jason. Yes the red Amnesia definitively helps with the visibility of the yellow hi-vis line. Those are some hefty fish.